I just completed my first sip and tweet event with Skinny Vine and Thirsty Girl. I had an awesome time and it was so cool to watch all the comments and thoughts about the 3 wines we had the opportunity to taste. Who would have thought an online wine tasting…twitter is a whole new world for marketing. 1) Mini Moscato: this is my overall favorite. It is not too sweet yet it offer you the full taste of the Fuji apples, pears and peaches. It is very light and very smooth going down. I tried 2 glasses (come on it is only 96 calories and I’ve been so good this year) and each taste was truly nice and enjoyable. It was not overwhelming in any way and I want to try it over some mangoes and even mango sorbet, can you just imagine the great treat that would be. Mangoes and Mini Moscato will be on the menu for Thanksgiving this year. 2) Thin Zin: I liked this one in second only because I LOVE Moscato, so don’t think it’s not as good because it is really nice. You can smell and taste the berries that this great wine is made of. It also has honeydew melon in it and a hint of clove and they come together rather nicely. This is a great wine to share with your friends who enjoy White Zinfandel and don’t forget to tell them that it only has 89 calories, so there is no guilt if they have more than one glass. 3) Slim Chardonnay: This was a very nice surprise to me personally because I have NEVER enjoyed Chardonnay wine before and I have tried several different ones but I enjoyed this one. It is made with apricots and honeyed citrus with a touch of vanilla and oak spice, and trust me (the non-chardonnay drinker) it blends very smoothly and is a nice treasure for Chardonnay drinkers, you will not be disappointed. The Skinny Vine performed better in taste tests vs. full-calorie varietals! and they taste Very GOOD!!! 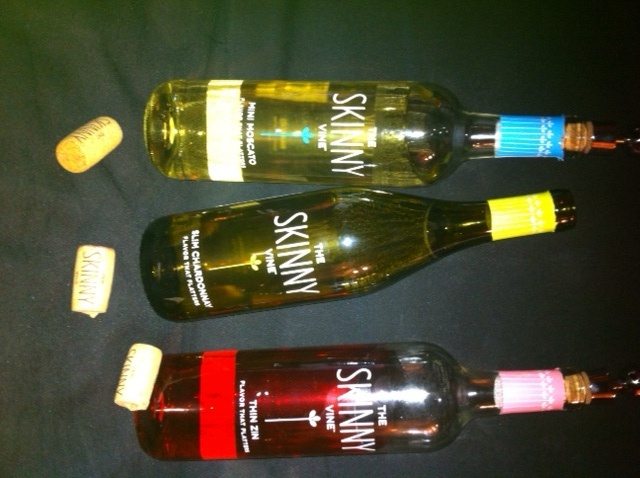 Skinny Vine was created for the wine drinker who wants a “better for me option” without having to sacrifice flavor or quality. 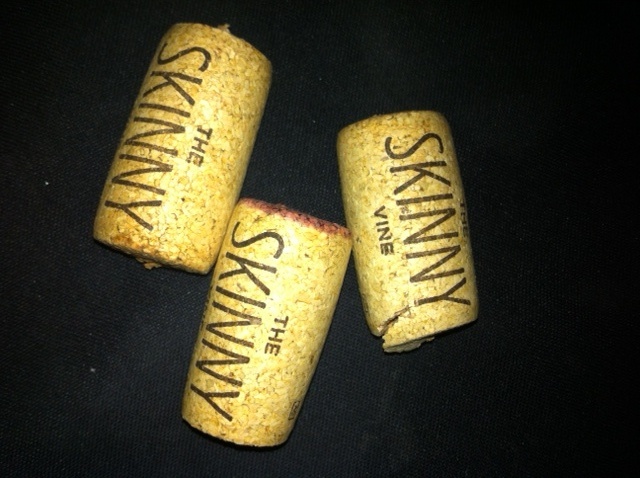 Skinny Vine provides health-conscious guys and gals the best of both worlds ~ a great tasting glass of wine with fewer calories. Retailing for $11 a bottle, each delivers the full spectrum of fruit intensity and complexity while managing alcohol content to create a full-flavored, low-calorie wine. The reason I say this is because we now have the great choice to enjoy a glass of wine and not feel guilty when we are trying to stay healthy. This is truly a guilt-free wine for everyone. Skinny Vine is created right here in California ~ Sweetness !!! This entry was posted in Foodie, Wine Review and tagged California Wines, Guilt free wine, Mini Moscato, Skinny Vine, Slim Chardonnay, Thin Zin, Thirsty Girl, wine tasting.